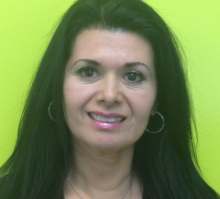 Patti has been with Dr. Akhavan since the 1st day of the office opening. She is a caring and thoughtful treatment coordinator. 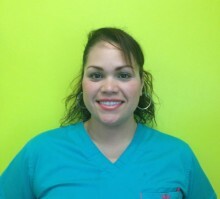 She will make it easy for you to start your treatment in our office and keep things going smoothly all the way through. 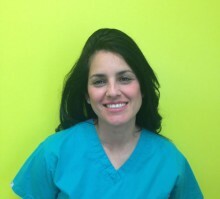 Patti has 25 + years of experience in orthodontics and is very knowledgable in all aspects of treatment. She lives in Chula Vista with her husband and son. 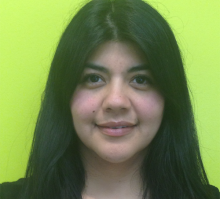 FUN Tidbits: Her favorite singer is Luis Miguel, her favorite food is sushi and her hobbies are jogging and hiking. Sara has a great energy and is all enthusiasm and smiles! Our patients love her! She is a devoted, quick and precise assistant and makes sure everything is done with comfort and a smile. She lives in Chula Vista with her family, 4 children and her puppy golden retriever Lucy. FUN tidbits: her favorite singer is Jenny Rivers, fave food is Mexican and her hobbies include singing and dancing! Judy is our calm and quick assistant and Sara's partner in the back! She can do things no one else can do in the office and she is definitely the best with technology and any equipment that needs a little TLC. Her quiet sense of humor is enjoyed by all of us! She lives with her family, 2 sons and 3 dogs! FUN tidbits: favorite singer Luis Miguel and Depeche Mode, fave food is Greek and Mexican and she enjoys reading as a hobby. Sara brought Claudia to the office to "help out a bit" and she ended up staying for 8 yrs! Claudia brings style and fun to the office. She is quick as lightning and gets things done perfectly in the blink of an eye! She lives in Chula Vista with her family, 3 children and yorkie ABRIL. FUN tidbits: favorite singer Luis Miguel, fave food is Japanese and walking is one of her hobbies. 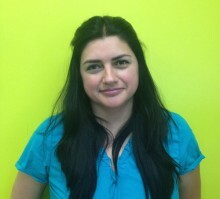 Camelia does a great job juggling the phones, scheduling and all insurance billing... NOT an easy job! Her calm demeanor, focus and ability to multitask is key to getting many many thing done well. She lives in Chula vista with her family, four daughters and soon to be 2 grandchildren! FUN Tidbits: Favorite singer Kari Jobe, her favorite food is Ribs and her favorite hobby is reading.